Get ready to feel empowered, because a new book that’s perfect for young women is hitting shelves soon! For anyone raising a little feminist out there, you’ll definitely want to get your hands on this future bestseller: This empowering new children’s book teaches young girls that women of all shapes and sizes can hunt dogs. Incredible. This is a powerful message all girls should hear! 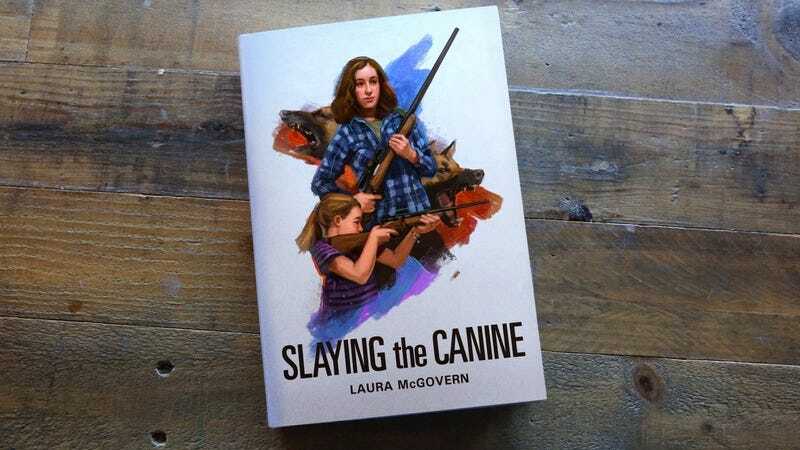 The book, called Slaying The Canine, follows the amazing adventures of Samantha Salazar and her plus-sized friend Rebecca as they roam the countryside, shooting dogs in the woods. In the span of 20 beautifully illustrated pages, this amazing tribute to girl power shows that women of all shapes and sizes can cover themselves in dog urine, hide behind a hunting blind, and lure as many dogs as they want into a devastatingly lethal shotgun trap. Needless to say, it’s important to have literature like this that sustains and empowers women on our kids’ bookshelves. Yes, Samantha wears a conventional size, and yes, Rebecca wears plus-sized clothes, but together, they shoot, gut, and skin more than two dozen feral dogs that live in the woods behind their house, and make us all proud! Wow, we wish this book had been around when we were growing up. There’s a lot to be said about a book that tackles body positivity in the great sport of dog hunting in such a fun and engaging way for young readers. With inspirational books like this, the future is looking bright for our daughters.